that Sue was terminally ill with cancer but it was still a shock to learn that Sue passed away in the UK on 11th November. Sean had flown back to the UK to be with her. 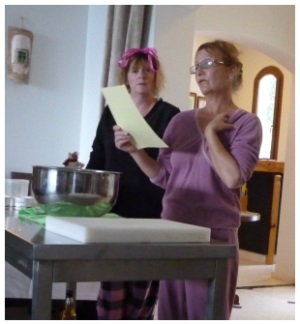 Rather than dwell on the sadness, I would like to remember Sue as she was at the end of last year and especially one occasion at a Ladies Lunch in December 2012 when we were treated to a cookery demonstration by Sue and one of her helpers. It was such an enjoyable afternoon. Sue will be sadly missed by all of the friends and acquaintances she made during the 21+ years she lived in North Cyprus. Rest in Peace Sue. 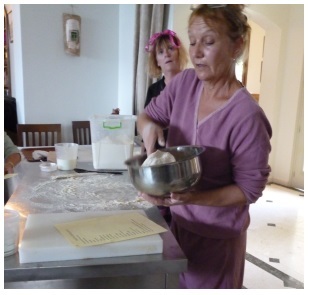 So Sorry to hear about Sue,we spent a wonderful 2 weeks at Club Ilgaz last June. Is it true that Sean has sold the lease,and if so is it still going to carry on the same as before. We have not booked anything yet for this year as we are hoping to return to Club Ilgaz, but can’t find out anything about the future there. I have written a separate email to you but so that others are aware this is to confirm that following the sad death of Sue, Sean has remained in the UK and not returning to North Cyprus, someone has taken over Club Ilgaz and it is closed at the moment for renovations but understand will probably open again in February. When we have further news about Club Ilgaz we will publicise this on the website.